It was a day of grand celebration for the Assumption Family on Easter Monday. At Old English Road, Fr. Dinh and the local community graciously welcomed their other local communities, Lay Assumptionists and guests to a lovely luncheon wherein all celebrated joyously. 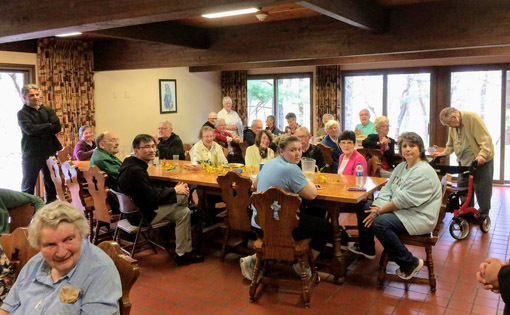 At the same time in Brighton, the resident community at the Assumptionist Center hosted an equally festive luncheon for the staff of the house. Later that evening, the Assumtionists and residents celebrated their Easter dinner together in their usual grand style, thanks to Michelle. True to Assumptionist tradition, the family continues to celebrate the Octave of Jesus' Resurrection! Alleluia!